My Tuesday afternoon kicked off with one of the most inspiring events I annually attend at GSA, an awards luncheon organized by the National Association of Geoscience Teachers (NAGT), Geological Society of America Geoscience Education Division (GSA GeoEd), and Council on Undergraduate Research (CUR). This event recognizes individuals that have made significant contributions in geoscience teaching, publishing, service, and undergraduate research mentoring. 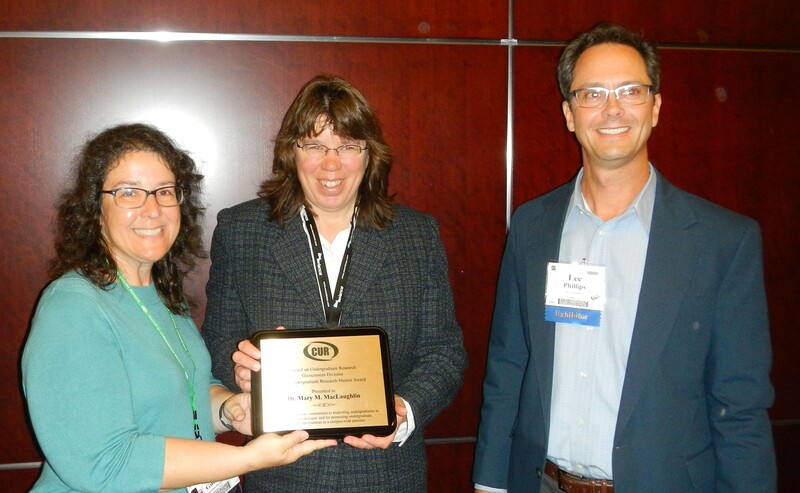 I serve as co-chair of the GeoCUR committee for the Undergraduate Research Mentor Award, and I was honored to serve as the citationist for this year’s winner, Dr. Mary MacLaughlin, a geological engineer from Montana Tech. You can learn more about Dr. MacLaughlin in a podcast of an interview we did with her on her philosophy of student mentoring on the GeoCUR website. All awards and award winners can be viewed in this PDF file. Then I headed off to a couple of evening receptions, contributing to one on undergraduate research with students in the first two years. I then attended my final reception on the InTeGrate project. At that reception, I learned about a new and exciting summer workshop taking place in Boulder, Colorado, called the Earth Educators’ Rendezvous (students – now you know where I’ll be in the middle of July 2015!). I also spoke with Dr. Tim Bralower, a faculty colleague in the Geoscience Department at the Penn State University Park campus. We spoke about several of the topics of the integrate project (energy, coastal geology, food, water, etc. ), and how we (fingers-crossed!) will be offering some of these new and innovative courses at the Brandywine campus starting this summer. Finally, it was time to say goodby to GSA and start heading back to the hotel to pack up for an early morning flight. Even though there is one more day of the GSA meeting, I knew it would take me a full day to fly back to Philadelphia, and I didn’t want to cancel classes on Thursday – I can’t wait to get in the classroom to share with my students all that I experienced so they can get a little bit of a glimpse in to the professional life of a faculty member. Thanks, GSA, for another great meeting. 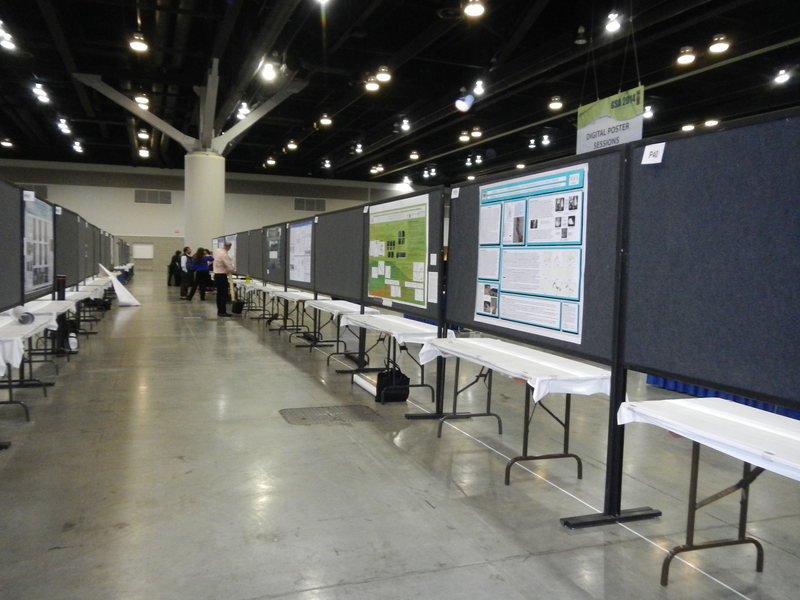 Can’t wait for GSA 2015 in Baltimore – any students interested in joining me?